As roles in the family are changing, fathers are seen in the kitchen more and more. According to Stats Can, in 1986, 40% of men aged 25-54 were involved in household work like meal prep / cooking, post-meal clean-up and laundry. By 2005, that number jumped to 59%. In the 70s, 1 in every 100 stay-at-home parents was a father. Today, that figure is 1 in 8. For this Father's Day, Fiesta Farms (@fiestafarms) is encouraging everybody to submit their favourite memory, story and / or recipe about their father or grandfather in the kitchen and is looking for submissions about the worst / best meal / dish they've ever made. 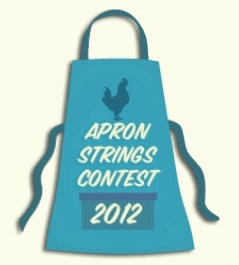 The contest runs until the end of June and the top 3 stories will win a Fiesta Farms gift certificate. All entries will also be featured on the Fiesta site during the month of June!